The Runt of the Litter! All the others pups turned out white but she was the runt. what a wonderful colour of Jack Russel....this dog looks just so sweet and charming. she surely deserves recognition. Hey Anonymous! 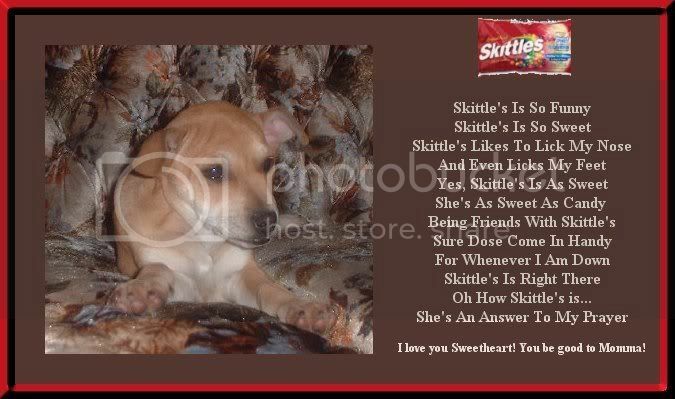 Thanks for such a cute poem and graphic about Skittles. He does look like a sweetie. 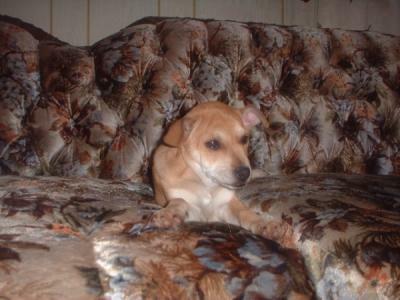 Skittles just looks so sweet and precious, but I always loved the runt of the litter best. They were always smaller and seemed to need more love. Thank you Deb for sharing Skittles with us at Esther's poems. I want this dog. Like his name a lot too.